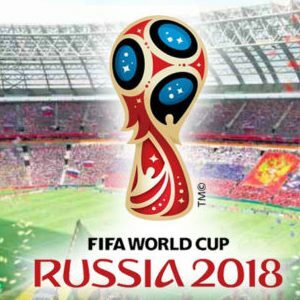 The 2018 FIFA World Cup will be the 21st FIFA World Cup, a quadrennial international football tournament contested by the men's national teams of the member associations of FIFA. It is scheduled to take place in Russia from 14 June to 15 July 2018. This will be the first World Cup held in Europe since the 2006 tournament in Germany, the first ever to be held in Eastern Europe and the eleventh time that it has been held in Europe. Russia proposed the following host cities: Kaliningrad, Kazan, Krasnodar, Moscow, Nizhny Novgorod, Rostov-on-Don, Saint Petersburg, Samara, Saransk, Sochi, Volgograd, Yaroslavl, and Yekaterinburg. All the cities are in or just outside European Russia to reduce travel time for the teams in the huge country. The bid evaluation report stated: "The Russian bid proposes 13 host cities and 16 stadiums, thus exceeding FIFA's minimum requirement. Three of the 16 stadiums would be renovated, and 13 would be newly constructed. Football is the second most popular game in India after that Cricket. 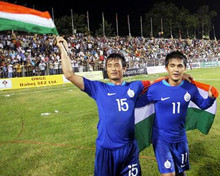 In September 2006, India brazil signed an agreement formalizing a scheme to train Indian Footballers and coachers.In India most of the states give much importance to football like West Bengal, Goa, Kerala, Manipur, Mizoram , Sikkim and Meghalaya. Indian Super League season 2014, officially known as the 2014 Hero Indian Super League season, It is the first ever season of the Indian Super League, the Indian professional league for association football franchises, since its establishment in 2013. The season started on 17 November 2017 and could conclude on 17 March 2018. The I-League, is one of the most popular sports league in the India, and is home to some of India's most famous football clubs. the I-League is the india's domestic football league. The Federation Cup was started in 1977. it is an annual knockout style club football tournament in India. 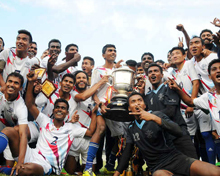 it was the most prestigious national level club football tournament in India. Presently it is the most important club tournament after I-league. Winning club of Federation cup gets a chance to compete in the continental level in AFC Champions League along with I-league champion team. The Durand Football Tournament was started by then, India's Foreign Secretary, Mortimer Durand at Simla in 1888, It was basically initiated, as a recreation for British troops stationed in India.In 1940 the venue was shifted to New Delhi. The Indian Super Cup is a one-off annual Indian club association football match contested between the I-League champions and the Federation Cup winners. If the I-League champions also won the Federation Cup then the league runners-up provide the opposition. The winners of the game receive the Shield as a trophy for the year, while players also receive individual winners medals. Santosh Trophy is an annual Indian football tournament which is contested by states and government institutions. The first winners were Bengal. The IFA Shield is an annual football competition organized by the Indian Football Association. It is the fourth oldest club cup competition in the world (Started in 1893) after the English and Scottish FA cup's and the Durand Cup. New Delhi, April 23 (IANS) All India Football Federation (AIFF) general secretary Kushal Das has finally decided to break his silence on the raging controversy that has hit the federation after seven I-League clubs decided to "boycott" the Super Cup last month. View More..
New Delhi, April 22 (IANS) The All India Football Federation (AIFF) has signed a coaching convention with the Asian Football Confederation (AFC) focused on coaching rules and methods. It will highlight the regulations and guidelines of coaches' education. View More..
Mumbai, April 22 (IANS) La Liga, in association with the Embassy of Spain in India and India On Track, will be awarding multiple Indian students the La Liga Football Schools Scholarship annually from 2018/19 season onwards. View More..
Barcelona, April 21 (IANS) A solid if not inspired performance was enough for Barcelona to prevail 2-1 over Real Sociedad and leave themselves needing just six points to clinch the La Liga title. View More..
(In the continuing series 'Where are they now? ', IANS tracks down former player and now coach Armando Colaco and asks him what he plans to do in the coming days) View More..
Manchester (England), April 20 (IANS) Manchester City got its revenge for being bundled out of the Champions League by Tottenham Hotspur, thanks to a goal by English midfielder Phil Foden which gave the defending champions a 1-0 win in the Premier League on Saturday. View More..
New Delhi, April 20 (IANS) The All India Football Federation (AIFF) is having a second thought about the much-awaited meeting between its President Praful Patel and the I-League clubs, which won't happen before the AIFF takes stock of the situation on its own about the future roadmap of Indian domestic football. View More..
Kolkata, April 20 (IANS) East Bengal on Saturday handed full back Samad Ali Mallik a three-year contract extension, the club said in a statement. View More..
Kolhapur (Maharashtra), April 19 (IANS) A month on from the announcement of India hosting the FIFA U-17 Women's World Cup in 2020, the junior girls' National Football Championship is all set to kick-off here on Saturday. View More..
Berlin, April 19 (IANS) Bayern Munich sporting director Hasan Salihamidzic has been fined 8,000 euros ($9,000) by the German Football Federation (DFB) for unsporting behaviour towards a referee. View More..
Ludhiana, April 18 (IANS) Punjab, Goa, Services and Karnataka will fight it out for a spot in the final of the Santosh Trophy here on Friday. View More..
London, April 18 (IANS) Manchester City defeated Tottenham Hotspur 4-3 in a wild Champions League quarterfinal second leg that left the sides knotted 4-4 on aggregate with the visitors bound for the semi-finals thanks to their three away goals. View More..
Porto (Portugal), April 18 (IANS) Liverpool reached the Champions League semi-finals after comfortably beating Porto 4-1, with the attacking trio of Sadio Mane, Mohamed Salah and Roberto Firmino grabbing a goal each. View More..
Dhaka, April 17 (IANS) Bangladesh's Abahani Dhaka and I-League's Minerva Punjab split points after an entertaining 2-2 draw in their second Group E match of the AFC Cup 2019, in Dhaka on Wednesday. View More..
Kolkata, April 17 (IANS) City football giants East Bengal on Wednesday handed attacking midfielder Lalrindika Ralte, also known as Dika, a two-year contract extension. View More..
New Delhi, April 17 (IANS) The recently concluded Super Cup in Bhubaneswar was hardly a super show in the absence of seven I-League teams, but the tournament may return as the season opener (2019-2020) in September-October this year. View More..
Kolkata, April 17 (IANS) Gurpreet Singh Sandhu wants the Indian football team coach to be a good man-manager above all, as he feels that will push them to do well as a unit. View More..